START DATE & TIME: Tuesday, June 12, 2018 2:00pm PST (check your timezone). If 7 days from class start time has passed, you can find the next available class here. 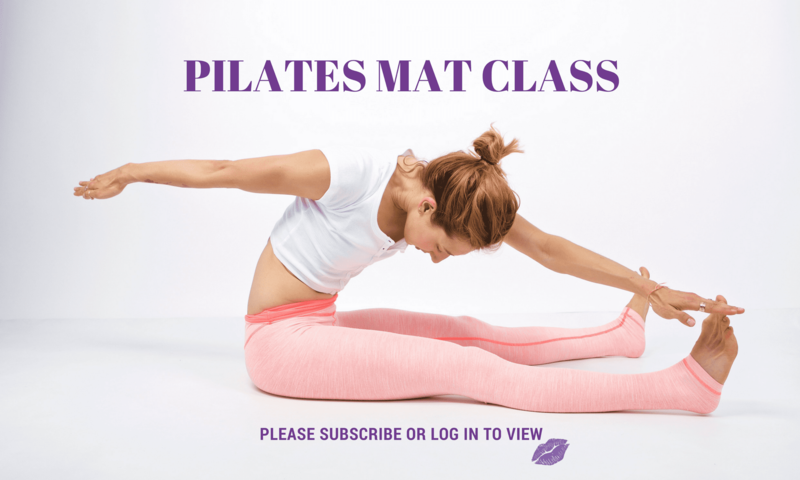 DESCRIPTION: I cannot tell you how many times I have heard “I hate Stomach Massage” or “Why do we do this?” And then, there is lots of love for Tendon Stretch until we take a leg off… In this week’s mat class we channel our Stomach Massage in many of our Mat exercises. I hope that by the end you at least like a little bit what the Stomach Massage does to help your Mat practice. And, to make it a little fun we rock out with our Tendon Stretch! I know you’ll have fun with it! I really did. Thank you Lesley, that was definitely awesome – challenging, tough and fun! This was unfortunately the first time I was able to do the class (Saturday) so I’m hoping to get at least 2 more times before Tuesday afternoon! See you soon at Momentum Fest. Next PostNext Do you Prefer an 80″ or 86″ Pilates Reformer?